Are you wondering what to do with Spring Mix? I did research on your behalf and found that it can be used in ways beyond salads! See my video below where I discuss my findings. My notes are below the video. Enjoy! Spring mix contains a variety of fresh greens with different tastes and textures, including red romaine, baby spinach, radicchio, green romaine, red oak leaf, mizuna, red leaf, lollo rosso, arugula, red mustard, green mustard, red chard, frisee, and tatsoi. It contains a mixture of sweet and mild, and also slightly bitter flavors. The variety may vary among different brands. Greens contain vitamins A, C, E, and K, folate, calcium, and potassium. It is very low in calories. Choose greens that look fresh and dry. Store them in the refrigerator and use them before the “Use By” date because they don’t last as long as mature greens. Spring mix greens purchased in plastic tubs tend to last longer than those sold in bags because the tubs help protect them from getting damaged. Spring mix greens are so tender that they are best eaten fresh (rather than preserved via freezing, etc.). Spring mix can be used as a bed of salad greens or mixed with other greens for a delicious salad. When using only spring mix in a leafy salad, use lightweight dressings and ingredients, as the tender greens don’t hold up well with heavy ingredients. Basil, lemon, garlic, onion, parsley, chives, balsamic vinegar, tomatoes, fruit, toasted nuts and bacon all go well with spring mix. Spring mix can also be used as a bed for fresh or grilled fruits and other vegetables. Toss spring mix with a balsamic vinaigrette and top with fresh sliced strawberries, walnuts, and an ounce of goat cheese. Toss greens, walnuts, and cranberries in a sweet balsamic dressing. Top with goat cheese. Add mixed greens, Kalamata olives, feta, pepperoncini, and cucumber in a bowl. Add olive oil and lemon. Toss gently. Salt and pepper to taste. Take your favorite homemade or premixed grain salad and toss in a handful of baby greens. Add candied or roasted pecans to your mixed greens and toss in a bowl with feta or goat cheese. Top with fresh raspberries. Use extra spring mix to make a green smoothie. Blend a couple handfuls with a banana and some other fruit or favored flavorings and enjoy! Spring mix can also be lightly sautéed in a little fat of your choice along with garlic, sesame seeds, and other flavorings. Top it off with a little rice vinegar, soy sauce, or lemon juice to brighten the flavor. 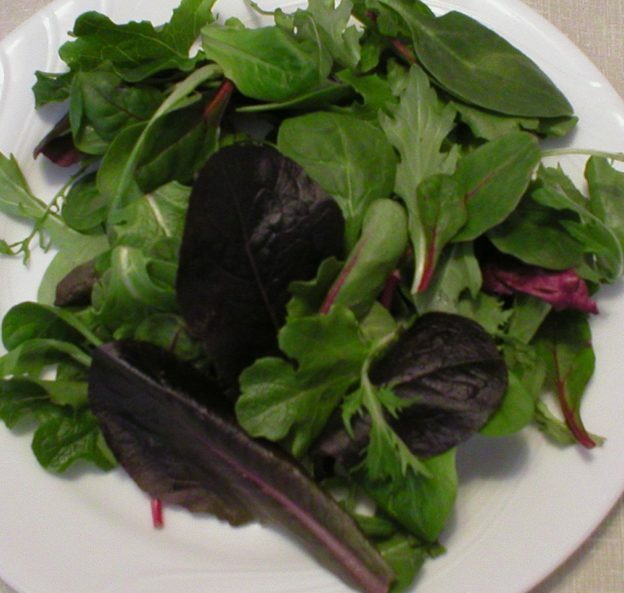 Spring mix can also be used as a substitute for spinach in any dish, cooked or raw. This entry was posted in Uncategorized and tagged about spring mix, can you cook spring mix, how to use spring mix, spring mix 101 the basics, spring mix recipes, what to do with spring mix on February 1, 2019 by Judi.